First repair from the lot I recently got. 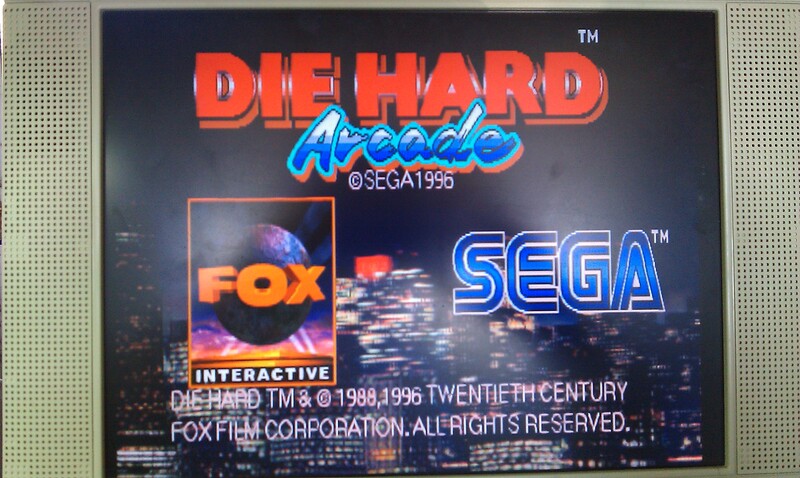 Sega STV motherboard with Die Hard game. When booted up with no game cartridge the board passed all it ROM and RAM tests. With a cartridge inserted the board crashes after the copyright screens. All the cartridge tests also came up as being good. There is a developers test menu that is accessed by holding the TEST button down on power up of the board, this gives you access to a whole host of extra tests, one of them being a Sub-CPU test. Running this test flagged it up as being BAD and the board locks up. If I pushed down on IC2 (this is the Sub-CPU, an SH2) the board would pass its test. 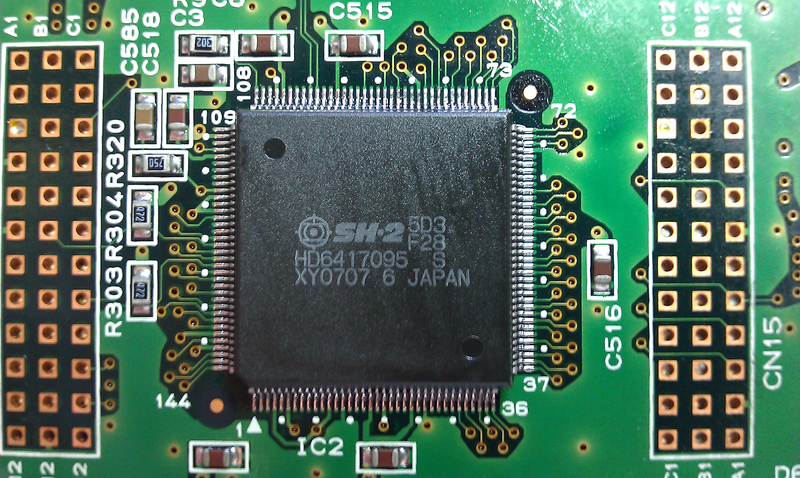 This fault seems to be very common on STV motherboards and is easily fixed by reflowing solder on all the pins on the SH2 processors. I did both of them for good measure and the board now passes all its tests and the game boots up. Not played this game before and its actually quite fun, like a mashup of Virtua Cop, Virtua Fighter and a little bit of Shenmue thrown in for good measure, it would make sense as the STV hardware is based on the Sega Saturn (or vice versa? ).